These Caloundra self contained holiday apartments are the best. 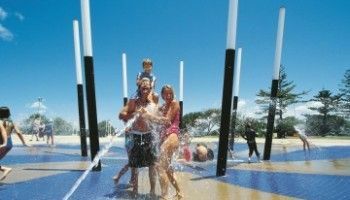 Burgess@ Kings Beach are a firm favorite among families who come to the Sunshine Coast every year to enjoy a long break by Kings Beach. Kings Beach is that idyllic holiday spot with everything going for it. The rock pools, the oceanfront saltwater swimming pool, and delightfully sheltered swimming beach make Kings Beach the holiday destination of your dreams. All the holiday essentials and luxuries are just a few minutes’ walk away. It’s easy to unpack your bags and leave your car parked until it’s time to leave. 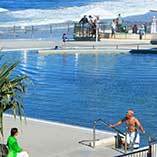 Kings Beach, Caloundra holds the title of the top beach in Queensland for 2015 from Surf Life Saving Queensland. 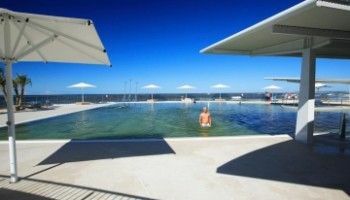 Kids will love Kings Beach and the saltwater pool at Kings Beach. The large and capacious two and three bedroom apartments will provide your family with plenty of space to spread out and make apartment their own for the duration of their stay. The decor and furnishings while not up to the minute, are very comfortable and familiar, all individually appointed and some with that homely feel that is very welcoming. 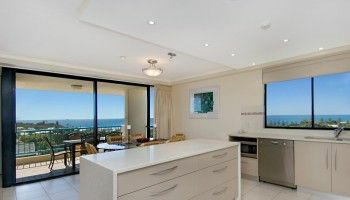 The apartments are of course fully equipped with kitchen and laundry, the most important rooms for the longer stay, and there’s also Foxtel and some magnificent coastal views from most apartments. Then there are apartments facing inland with some spectacular hinterland views of the Glasshouse Mountains. There’s also a good assortment of cafes and restaurants nearby on either side of Kings Beach. 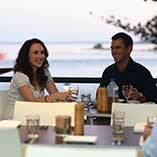 If you stroll further afield you can extend your choices in downtown Caloundra. Or you need a complete change of scenery, Mooloolaba is always available. Your reward may even be a haul of the freshest Moolooaba prawns to take back to throw on the barbie at Burgess@ Kings Beach. 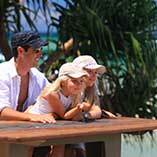 Options abound when you choose these Caloundra self contained holiday apartments. Book now at the Burgess @ Kings Beach.